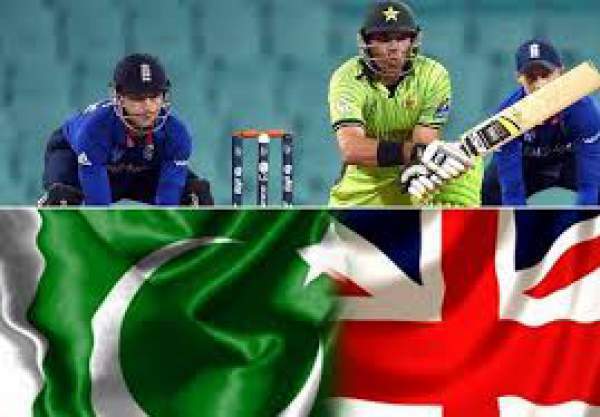 ENG vs PAK 5th ODI live to start at 2 pm BST. It will have the live coverage on Sky Sports 2 and Sky Sports 2 HD TV channels. Those who want to live stream online can go to www.skysports.com. Moreover, the video is also available below on this page. Before this ODI series, both the teams played 4-match Test series which ended in a tie with each team winning two games. But with the ODI series, the fortunes for England turn around and they have successfully won the first three ODIs. With those three wins, they have already clinched the series. With those three wins, they have already clinched the series. Now, it’s the time for Pakistan to play and win the remaining two matches for their self-respect. It has been after the ICC Cricket World Cup 2015 when England has brought change in its way of playing. It introduced a new aggressive approach to play the game. The new approach has led them to score 444 runs in the third ODI against Pakistan and post a world record on September 30. They scored this much hell of runs with just losing 3 wickets in 50 overs. They broke the previous world record of 443 runs which was made 10 years ago by Sri Lanka against Netherlands in 2006. There was one more record creating on that day. Opener Alex Hales made a total of 171 runs and broke the record of Robin Smith who once scored 167 runs as the highest score for England in ODI format. Also, other batsmen lent their contribution to the team total with which they made the world record. Not only batting but also on the bowling front, the Englishmen were aggressive and tight. Mark Wood, Adil Rashid, and other bowlers kept on taking wickets regularly. As England has already won the series, they may want to give rest to some of its players. This means that some new and injured players can get a chance to play. On the other hand, Pakistan has been struggling from the start of this series. They are on the number 9 in the top list of ICC ODI rankings. Wicket-keeper-batsman Sarfraz Ahmed, Wasim, and Sharjeel Khan seems to be the only players in the form. Not only on the batting front but they are also suffering on the bowling front. Pakistan’s top rated bowlers Wahab Riaz and Mohammad Amir seem to be out of form right now. Moreover, Yasir Shah who took wickets in the Test series has failed to take wickets in the shorter format. With their current ICC ODI rankings and performance, captain Azhar Ali and coach Mickey Arthur are left with very little time as the qualifiers for the 2019 World Cup will start next year. Pak may call seamer Mohammad Irfan in place on Wahab Riaz and Shoaib Malik may get a place for Imad Wasim. He had missed the previous match as he was injured. Probable XI: Jason Roy, Alex Hales, Joe Root, Eoin Morgan (C), Jos Buttler (WK), Ben Stokes, Moeen Ali, Chris Woakes, Adil Rashid, Liam Plunkett, Mark Wood. Possible 11: Sami Islam, Sharjeel Khan, Azhar Ali (C), Babar Azam, Sarfraz Ahmed (WK), Imad Wasim, Mohammad Nawaz, Mohammad Amir, Hasan Ali, Yasir Shah, Mohammad Irfan.